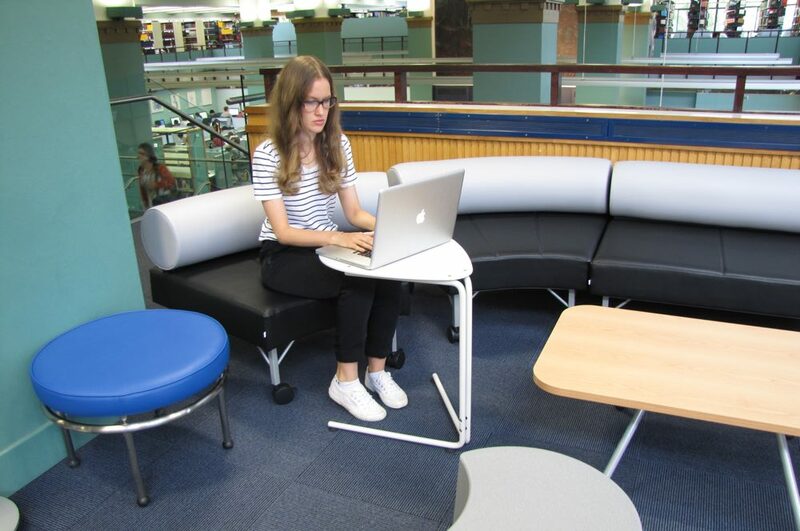 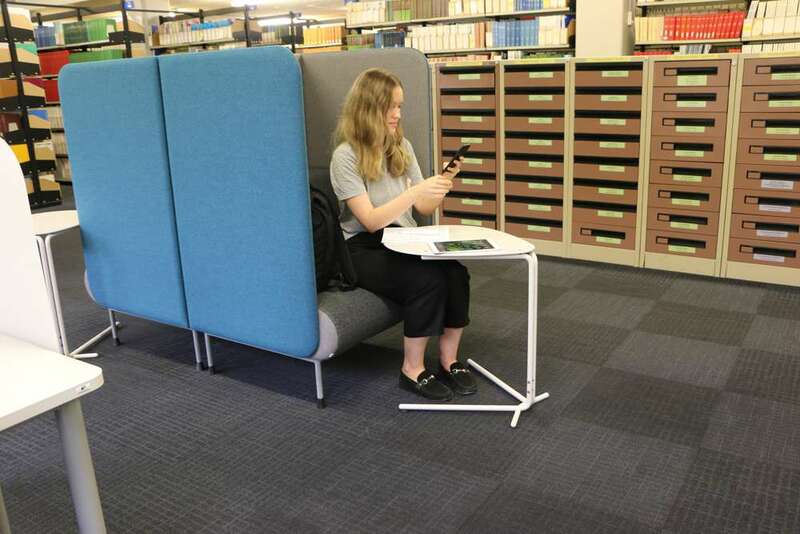 SPARROW Laptop Table is all about working safely with laptops and tablets in library and learning environments. 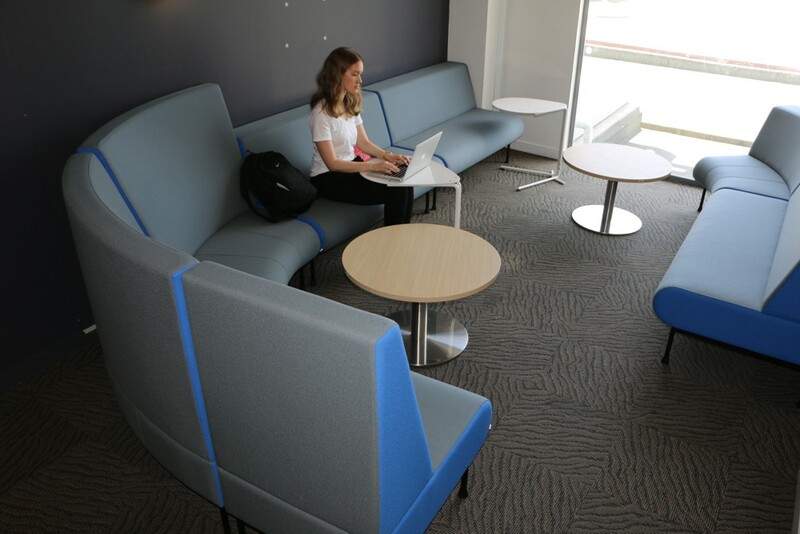 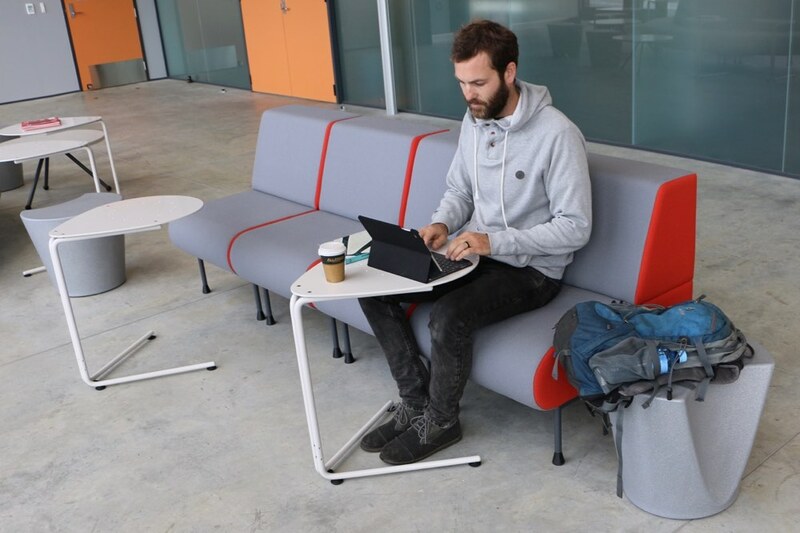 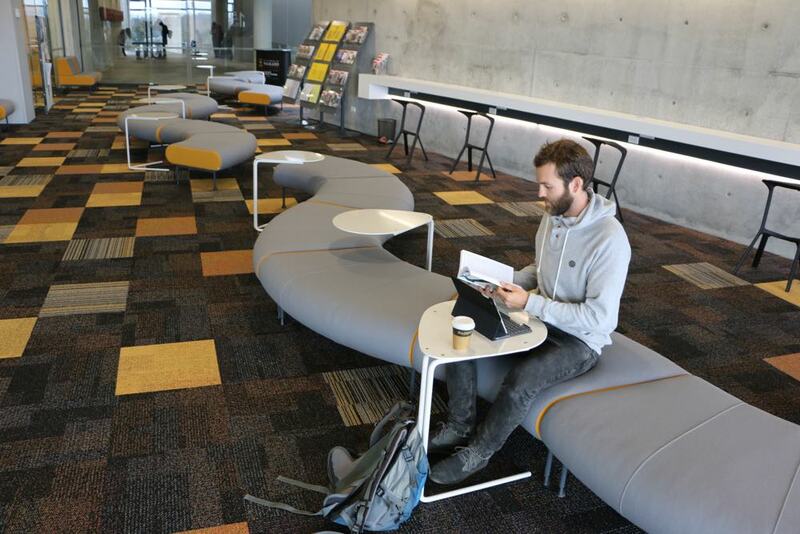 SPARROW Laptop table injects spontaneity, flexibility and choice into your informal learning spaces. 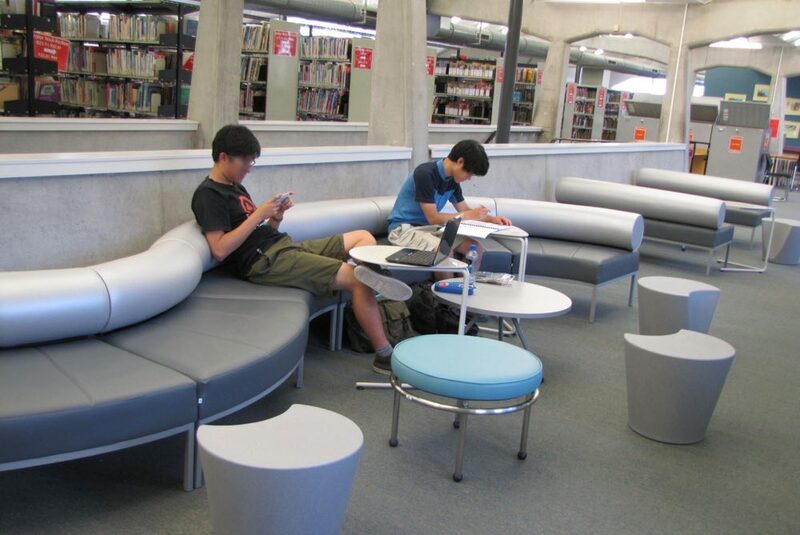 Students can choose to work singularly or alongside each other. 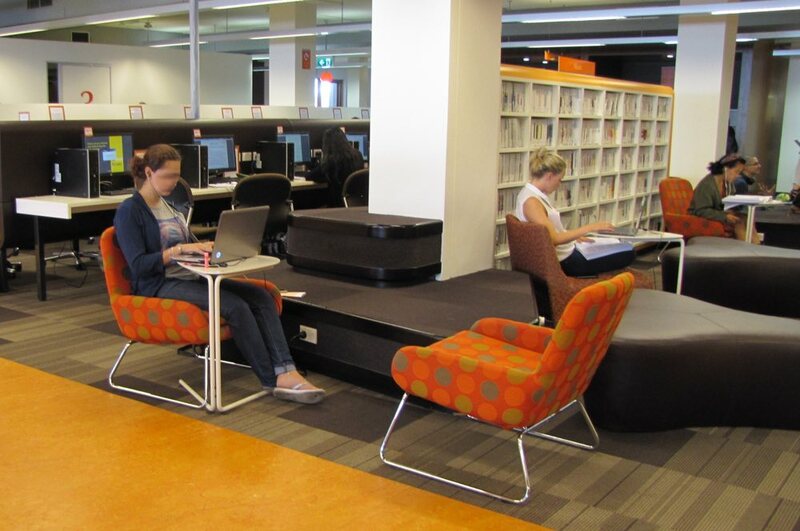 Simply drop into your learning space and SPARROW becomes immediately and intuitively useful. 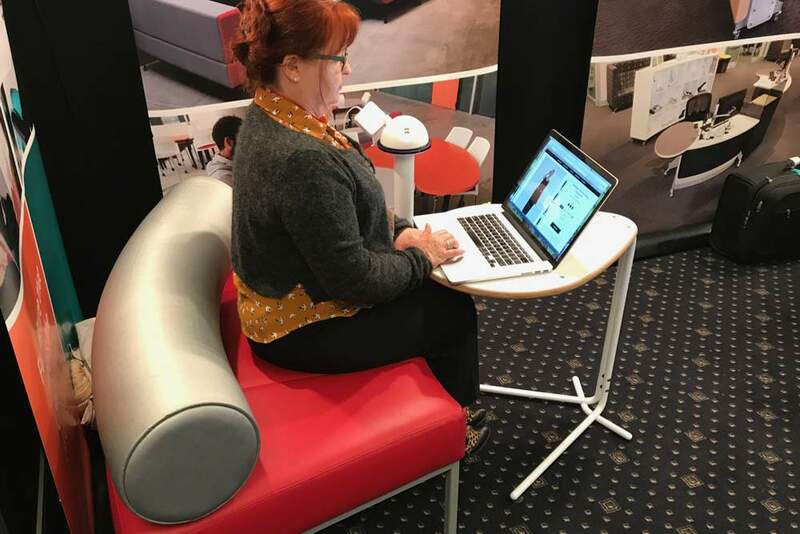 A long reach teardrop, cantilevered worktop, provides plenty of layout space beside your device. 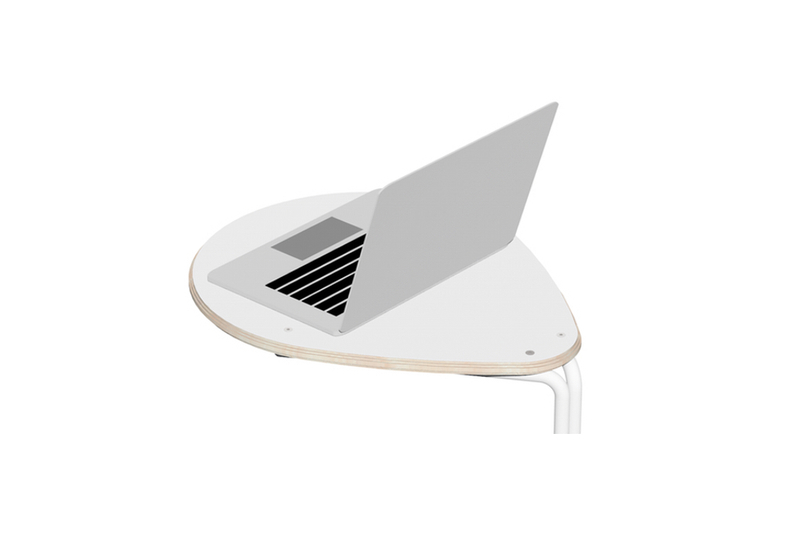 Hard wearing HPL top on FSC certified birch ply with rounded edge profile. 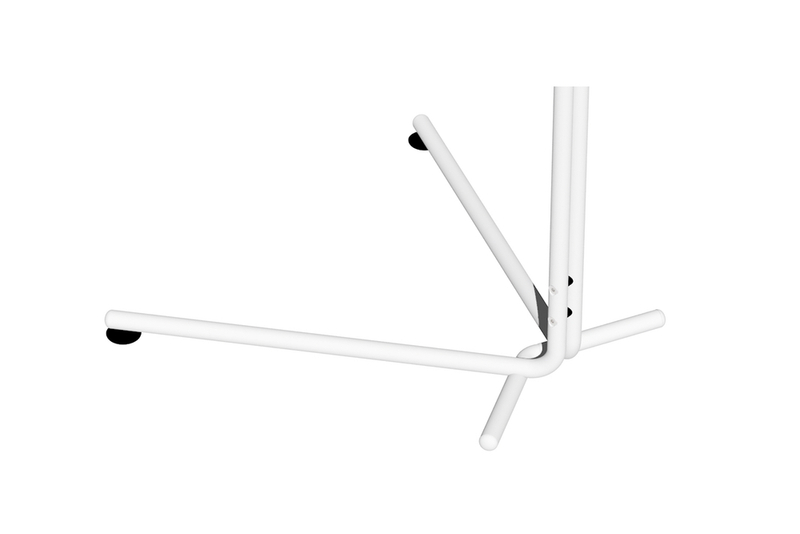 Mounted on an easy manoeuvrable ‘V’ frame. 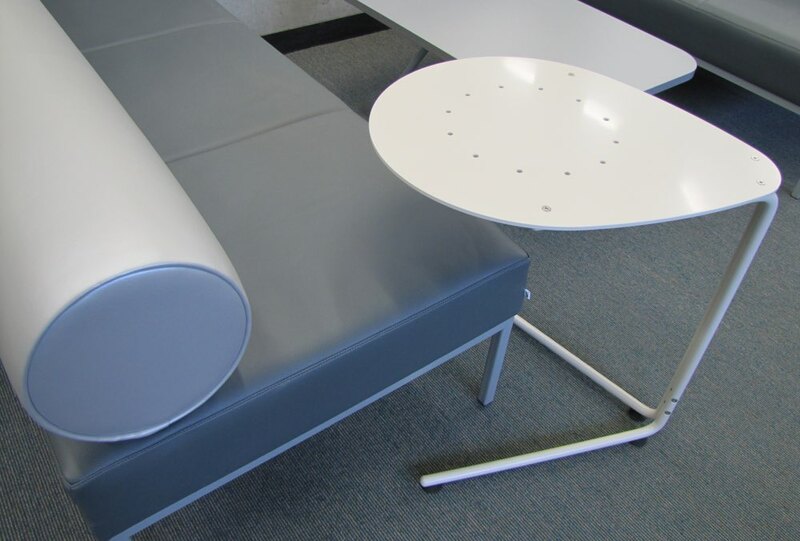 The solid steel rod frame provides strength and stability. 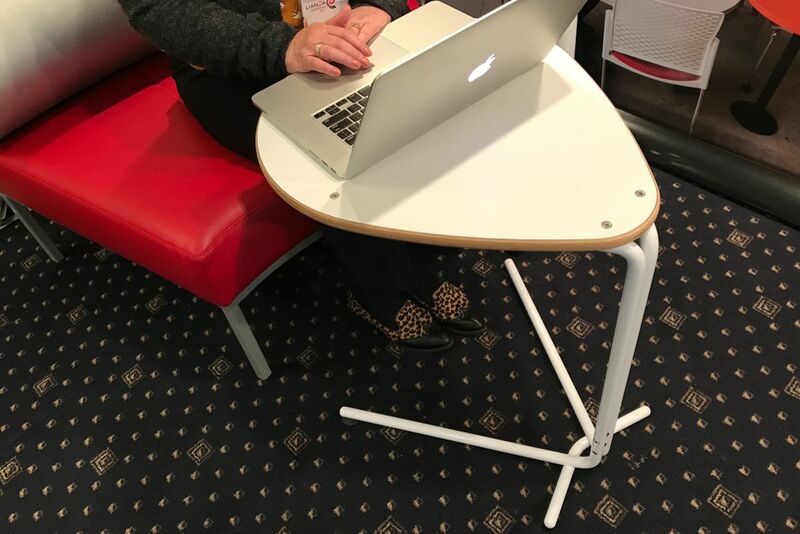 Work comfortably with the table at any angle.